Top hikes, sweeping vistas, historic dramas, wildflower hunting tips and wildlife adventures: See the Blue Ridge Parkway through the eyes of the people who love it and know it best. Explorers of the Blue Ridge Parkway offers summer travel inspiration and practical tips, illustrated and made accessible through the stories and histories of seven "explorers" who serve as guides. New summer travel packages for adventures on the Blue Ridge Parkway include a gourmet picnic fit for a picture perfect overlook, topographic map and boutique hotel backdrop; falconry (hiking with a hawk!) and star gazing at a remote mountain lodge; and expert hiking recommendations with survival-ready day packs at a historic bed and breakfast. Born of the desire to support the Appalachian region&apos;s climb out of the Great Depression through the creation of a "museum of the American countryside," this elongated park is unique in the National Park System, traversing peaks, ridges and valleys of five major mountain ranges. 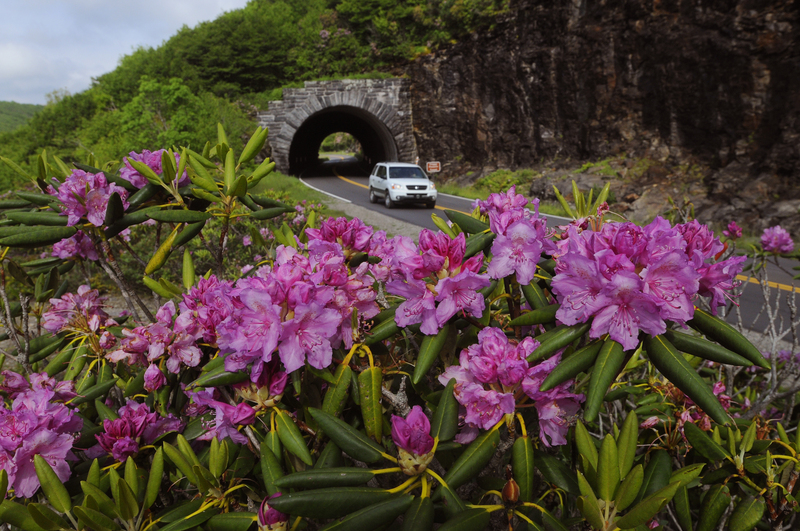 More travelers get on and off the Blue Ridge Parkway in Asheville than anywhere else along the scenic road. Home to George W. Vanderbilt&apos;s legacy, Biltmore, and encircled by the loftiest mountains in the Appalachians, the Asheville area makes for a vibrant and stylish basecamp with 250 independent restaurants, 19 craft breweries, an engaging art and music scene, the region&apos;s top outdoor adventure outfitters and excursion outposts, and myriad accommodations from cozy inns to historic mountainside lodges. Along the Asheville portion are some of the Parkway&apos;s most popular attractions: Become immersed in the area&apos;s natural heritage through colorful gardens, trails and exhibits at the North Carolina Arboretum (milepost 393) or witness the rich mountain craft traditions still alive today at the Folk Art Center (milepost 382). The Blue Ridge Parkway Destination Center in Asheville (milepost 384) offers historical context and high-tech trip planning via the interactive I-Wall map. More Blue Ridge Parkway travel planning inspiration, itineraries and packages at exploreasheville.com/BlueRidgeParkway.